The aim of REASON AND INSIGHT is twofold: first, to provide a comprehensive, multicultural introduction to ethics that includes substantial selections from the main Western and Eastern philosophies and religious traditions, and second, to enable students to explore how these perspectives are applied to a range of contemporary moral problems. Beginning with an engaging, accessible introduction to fundamental metaethical issues, the text then delves into particular ethical theories from both the Western and Eastern traditions. Finally, the relevance of these more abstract concerns is made more concrete in the concluding section that presents current scholarship devoted to applying these theories to pressing moral concerns with which students will be familiar. 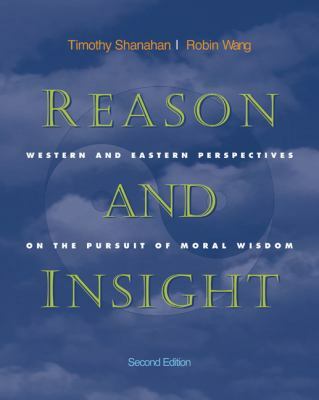 With REASON AND INSIGHT, students are exposed, in a single text, to all of the most important Western and Eastern moral theories and thereby are encouraged to reexamine critically their own moral perspectives in light of many other historically and/or culturally remote standpoints.Shanahan, Timothy is the author of 'Reason and Insight Western and Eastern Perspectives on the Pursuit of Moral Wisdom', published 2002 under ISBN 9780534505998 and ISBN 0534505996. Loading marketplace prices 29 copies from $14.24 How does the rental process work?